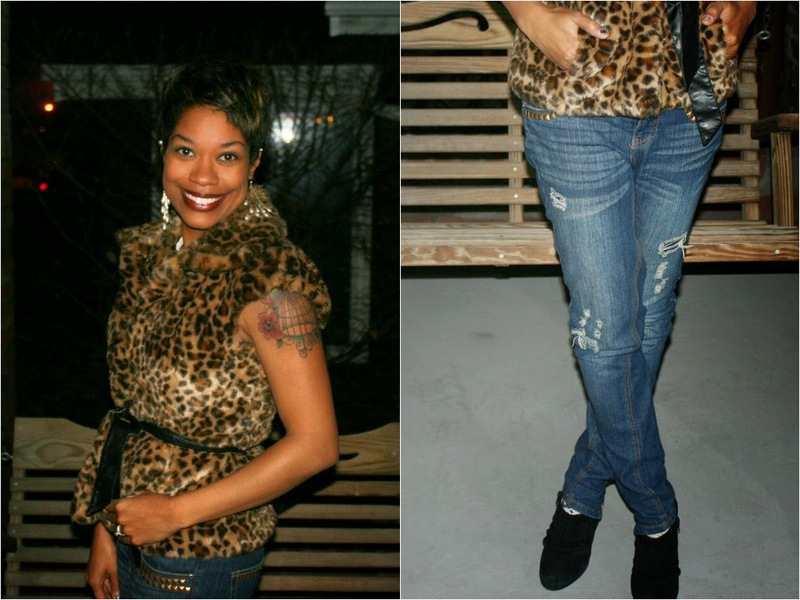 Which styling do you like better - with the red shoes & black pants (worn in 2011) or with destroyed jeans and a studded blouse? I think I like it with jeans better. . .On a side note, I am definitely losing points for originality with the photo location. Forgive me- it was 30 degrees! 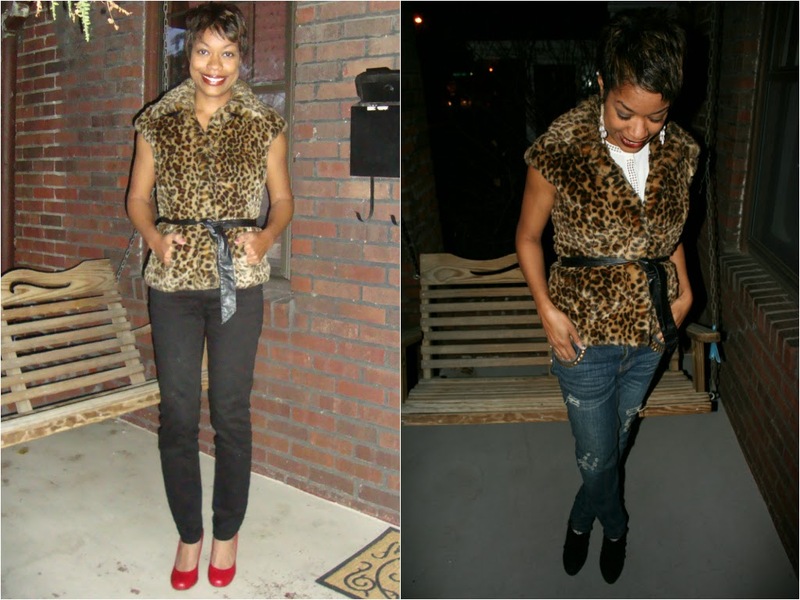 Dressed up with a dress or dressed down with jeans, the fierce factor of fur vests is off the charts! 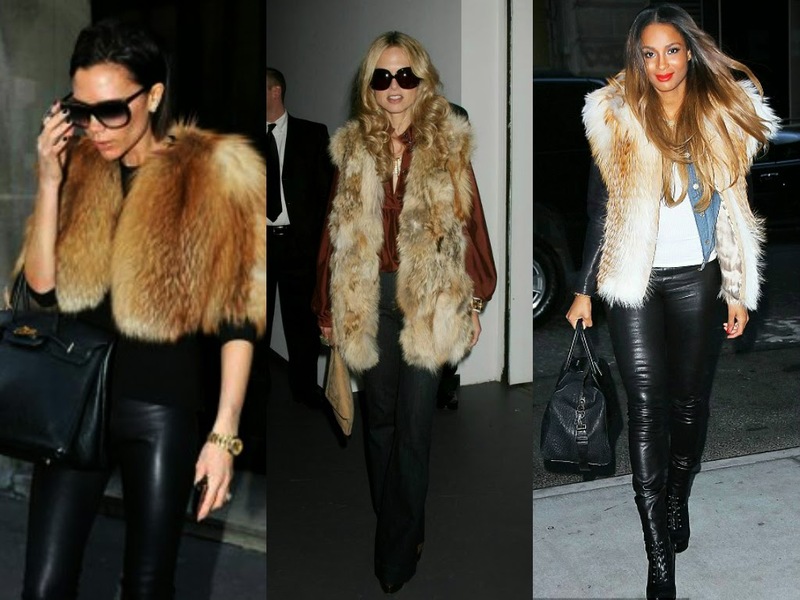 How would you wear a faux fur vest?